12-10-2016 Montserrat’s Museum owns one of Ramon Casas’ most important collections in Catalonia, with almost thirty oils and drawings. Most of them are a donation to the monastery by Josep Sala Ardiz in 1980. Casas –like Santiago Rusiñol- is the most representative artist of Catalan Modernisme. The airs they breathed in Paris marked a major turnover in Catalan art at the end of the 19th century. The commemoration of the 150 years of the artist’s birth is a good opportunity to emphasise the collection of Montserrat’s Museum, which houses a permanent exhibition with a selection of first-rate works by this Catalan painter. Consequently, Montserrat is an essential visit place to get to know this painter. MDM’s permanent collection shows some of Casas’ most iconic paintings, such as the famous Madeleine (1892), Before bathing (1894) or Decadent Young Woman (1899), the result of his best Parisian period in Montmartre. Paintings of the artist’s various periods are displayed in this first-floor room dedicated to Casas, where the main subjects of his painting are present: the female figure, bullfighting, and society life in Barcelona. The Year Ramon Casas 2016 is exemplified at MDM by means of special signaling boards that underline Casas’ presence in Montserrat, in order to locate one of the most distinctive painters of Catalan Modernisme. 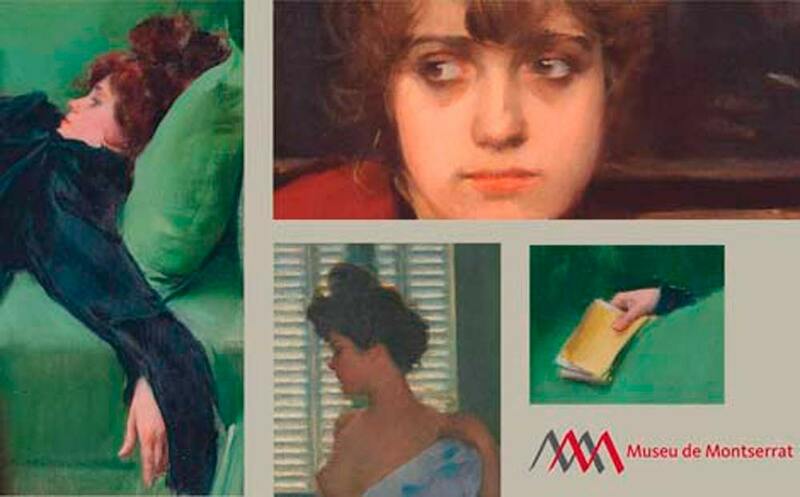 In autumn MDM organizes a series of conferences to approach the figure of Ramon Casas, and is posting a new chapter of their website’s section Magic Lantern: all Casas’ works owned by the museum will be listed, one by one. In this virtual space there will be pieces not usually on exhibit, such as his drawings.